If you or your institution / organization are happy with our offered products and services, we would love to add your letter of approval on this page. In the event that, our services failed to meet with your expectations, then please contact us so we can make it right. This is a unique plant in our unit & is appreciated by all. 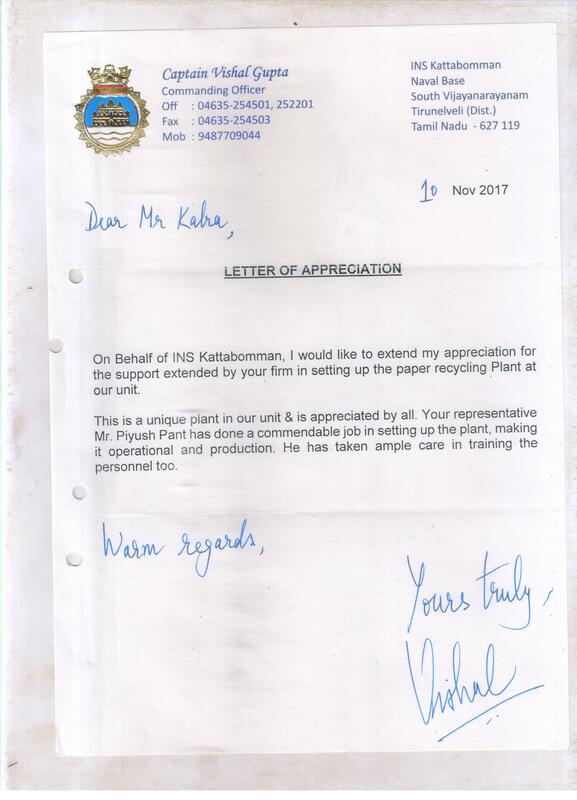 Your representative Mr. Piyush Pant has done a commendable Job in setting up the plant, making it operational and production. He has taken ample care in training the personnel too. 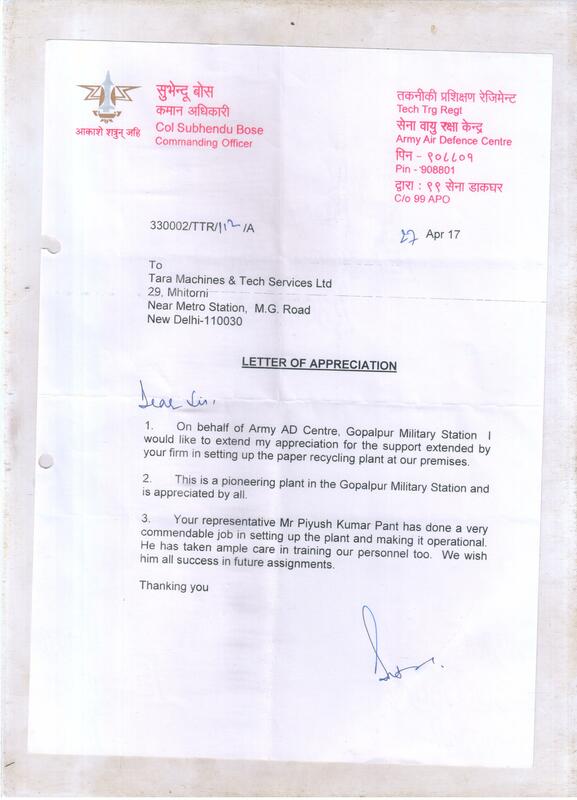 This is a pioneering plant in the Gopalpur Military Station and is appreciated by all..
TARA Machines & Tech Services Pvt. 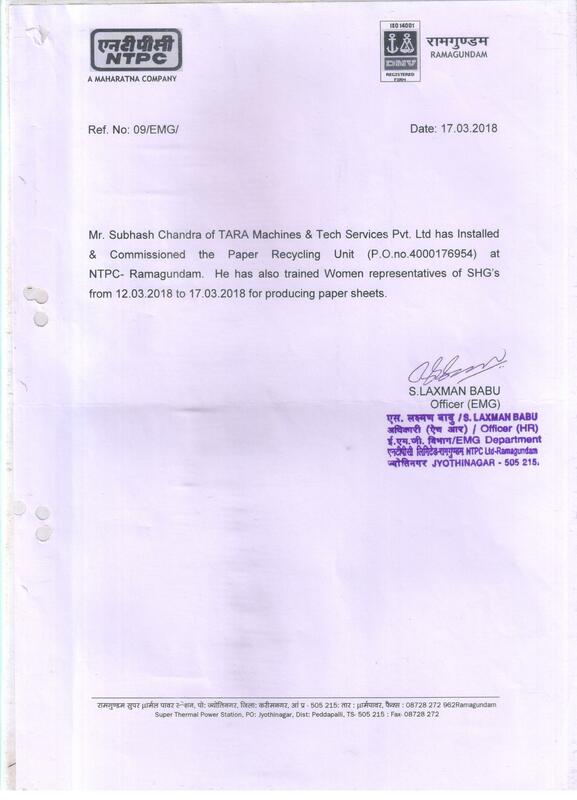 Ltd Has Installed & Commissioned the Paper Recycling Unit at NTPC Ramagundam.